In-car air conditioning is one of the great miracles of convinces when the system is. Then there are times where it’s not working and you feel like a chump for paying for a car with a nice & cozy interior only to have it turned into an oven on 4 wheels. 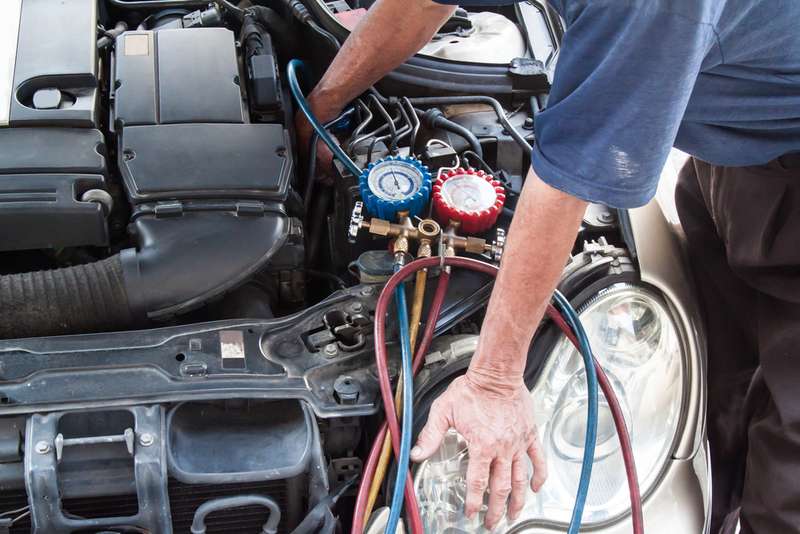 Today on ShopTalk, we aren’t just taking about what makes that AC work, we’re going to go over some of the basics when it comes to repairing and recharging your car’s A/C system. Fist Thing’s First: How do these things work? I’m about to blow you away, literally: air conditioning systems do NOT create cold air. What they do is takes the heat and moisture out of the air that is already in your car in order to leave cooler air behind. Freon/refrigerant resides in the a/c system. Then you have what is called the a/c compressor which initiates the high-side of the system and compresses the freon/refrigerant into a high-pressure state causing the material to liquefy and travel through high-pressure lines to the condenser. What a condenser is, is akin to a radiator and it puts the liquid in contact with fresh air on the outside of the vehicle, which absorbs the heat from the liquid. After flowing into the expansion valve or orifice tube where it is restricted and becomes gaseous into the low-pressure side of the a/c system, it flows into the receiver dryer/accumulator that contains a desiccant bag to remove and collect unwanted moisture/water and impurities. The clean gaseous freon/refrigerant then travels through a series of tubes into a component called an evaporator(located in the passenger compartment of the dash). This allows the freon/refrigerant, which is in a gaseous state to be able to absorb heat from the air passing through the evaporator fins, and thus leave behind the cooler air. The fans in your car blow this cooler dry air into the car’s cabin before it all circulates and the process starts over. So how do you repair and maintain an AC system? The key is in the freon/refrigerant. That has to stay fully charged in order to make for proper operation. If the freon/refrigerant level ever gets too low, the a/c system will still be able to operate however the cooling effect will be diminished, not to mention the shorter operation cycle and the damage that will occur to the whole system. 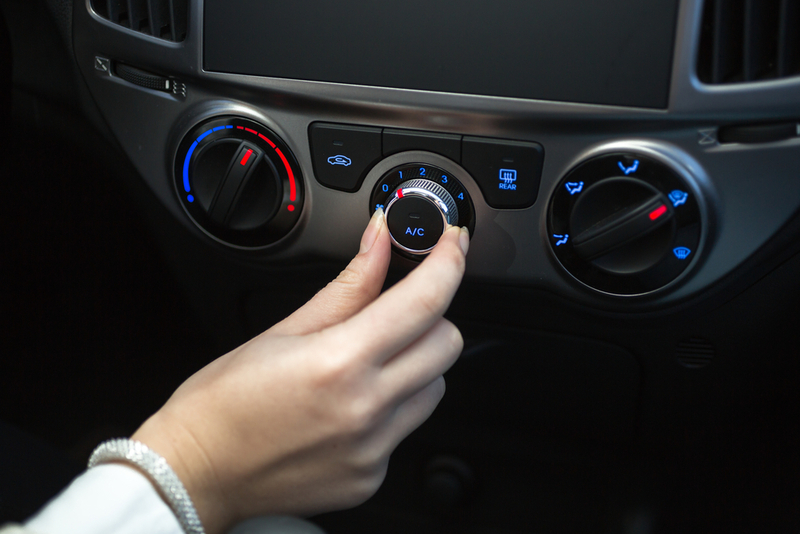 Always be sure to check the pressures of the a/c system while in use. This will give you an indication of low freon/refrigerant even if this does not tell you how low the refrigerant actually is. When it is low it is usually due to a leak in the system. Now, it is possible to recharge your AC yourself even as we recommend going to a trusted repair facility. STEP 1: Determine if you have any refrigerant left in your system at all. What you do is fit a charging hose on the low pressure port, located on the refrigerant line on your car, and near the accumulator. USE EYE PROTECTION. STEP 2: Check for any obvious leaks. If your system is lacking the proper amount of refrigerant, you have a leak. The good news is that it takes months to deplete the refrigerant. Do keep in mind that recharging a leaking system is a pointless exercise in futility. You can check these easily by spraying a soapy water solution on fittings and watch for bubbles to appear. STEP 3: Make sure the condensing coils are not obstructed ; the compressor is operating. You can test a compressor with a low charge by jumping the pressure switch on the accumulator. STEP 4: Tap and seal the refrigerant can. Completely open the valve on the tapping fitting, thereby retracting the tapping pin into the valve body. If you don’t do this it will lead to a puncture and failure. After securely threading the tapping valve on the refrigerant can, me sure to close the valve completely. This prevents unwanted leaks. Side note: be sure to purge the charging hose as preparation and also locate the low pressure charging port on the refrigerant line on your car (the larger tube, near or on the accumulator). STEP 5: Crank your engine and turn the AC on high cool, high fan. 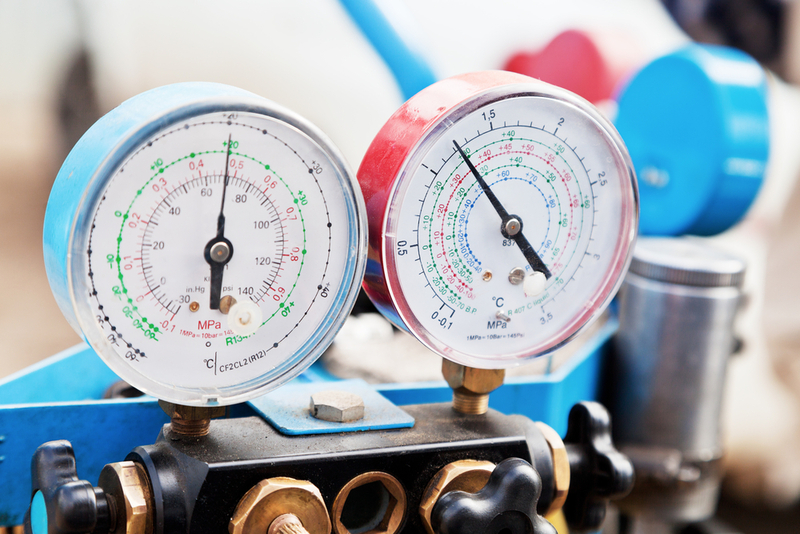 Most recharging hoses come equipped with a pressure gauge and allow you to check it to determine if the system needs refrigerant. Now if the pressure is holding steady, congratulations: the system is full and should not be charged, good job and close up shop. Now if the pressure is below the recommended range and/or falling, continue following our instructions to recharge the system. STEP 6: Open the valve until you hear refrigerant passing through the hose. Let the can dispense its contents (2-5mins most of the time). Be sure to keep the can with the tap up at all times in order to allow non-liquid refrigerant into the suction side of the system and prevent compressor damage. WARNING: Do Not overcharge! STEP 7: Close everything up. When you are finished charging, close the valve and disconnect the hose when the can is either empty and/or no longer discharging. Once again inspect for port leaks before replacing all the caps. Finally, you are going to check the air from the AC vents in the car. If everything is working properly it should be blowing cold (38-45 degrees), if not, it is possible that either one can of refrigerant was not sufficient to charge the system, or some other component was the problem. Once again: Do Not overcharge! If the problem persists, take your car to a shop ASAP.